It just seems things are getting worse in Palestine along with the treatment of the Palestinians and I try to keep hope that all the different movements are slowly helping to bring about change. Here in my part of the world I always ask myself what can I do - what is my role with the millions around the globe working to bring about a change. I am only one person buy with the support of many around the globe since 1996 I keep going to spread awareness around Canada & the globe. Finally we have a domain address for Window into Palestine and I am slowly working on the launch of a few projects which include a book as well other small projects to help spread awareness. 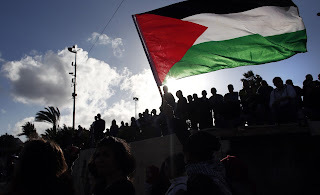 At this point we are trying to give Window into Palestine a whole new look which involves the design of a whole new site that would be more interactive for users any financial help you can provide would be much appreciated. I know it has been financially tough for many but any donations no matter the amount will help the site move forward to give small thank yous to the people who give their time to help out in the operation of the site. It will also help out with our monthly operational expenses for things associated with the site and social media. That was the short term needs as we try and save for the long term in hopes of publishing a book as well as pay for a few projects to raise and spread awareness. As always I want to thank the people who continue to send in their donations and if you cannot give just share our postings and follow us on face book and twitter. If you have any questions, need more info or have suggestions we would love to hear from you.